Effectively managing insurance claims is critical for maximizing an optometric practice’s profits. Unfortunately, many billing managers don’t always have the time or resources to focus on each stage of the claim lifecycle. Because the biller is focused on submitting new electronic claims, they often don’t have the time to fix rejected claims and resubmit them to the payer. So, when a claim is rejected, it sits in the biller’s inbox until it becomes too late to submit the claim. 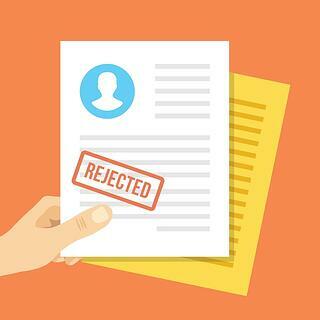 Below are tips to help you address claim rejections so you can get paid for your work. Because billing managers are strapped for time, when a claim is rejected, it usually sits in the biller’s inbox until it is too late to rework the claim because the timely filing deadline has pasted. While it’s important for your biller to submit new claims, it’s always important to track a claim’s journey through the lifecycle and ensure that rejected claims are promptly addressed. If your clearinghouse solution comes with a workgroup feature, you can set configurations to automatically prioritize and assign claim rejections so your billing manager can work on them first. With a workgroup configured for claim rejections, your billing team can stay on top of the rejections. As a business owner, you must track performance. 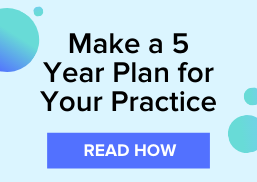 Keeping an eye on how your practice is performing will help you identify areas of strengths and weaknesses so that you can make informed decisions that will help your business grow. The same can be said for managing your insurance claims. Unfortunately, many optometric practice owners operate in the blind because their clearinghouse solution doesn’t provide them with the intuitive metrics they need to monitor claim performance. By tracking your electronic claim performance, you can see where common errors are being made so you can avoid them in the futures to help increase profits from insurance claims. Sometimes, your billing department is too busy to focus on the rejected claims. Or, maybe your practice lost your biller, so now you or your office manager are taking over those duties. This creates problems because when you, or your office manager, are handling your claims, you’re taking your focus off of your patients. If you or your office manager are managing your claims, or your biller can’t keep up with rejections, then outsourcing your optometric claims management can help. When you outsource your claims management duties to an optometry-focused billing service provider, you inherit a team of skilled vision and medical billing experts that manage every stage of the claim lifecycle for you. When a claim is rejected, the billing service will work with you and the payer to promptly rework and submit the claim, so money isn’t left on the table. Discover more tips on how you can earn more money on your claim reimbursements by downloading our Definitive Guide To Making More Money On Claim Reimbursements.